Between the constant of ringing phones, pinging e-mails, chatty co-workers, and rowdy kids, it can be tough finding moments of peace and quiet in your day. In a nutshell, running alone can allow you to hit the mute button on the world (especially if you leave the gadgets behind) and take full advantage of running’s stress-busting benefit. You can take the opportunity to listen to your body and what it’s telling you – you can concentrate on form, your surroundings and how you feel. 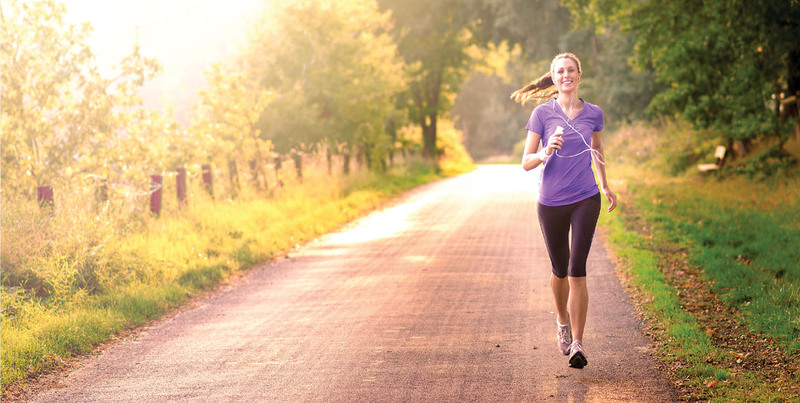 Your run is your own – going solo means you can run where ever you want whenever you want! No expectations – well only the ones you set yourself! This time is your own to run, explore and enjoy your own company – make the most of it! You become more resilient – Having a bad run? Not a fan of the summer heat? It’s comforting to complain about it to your running buddy or group. He or she will load you up with all sorts of mantras to keep you going. But what if you’re alone when you hit that difficult point on your run and the thought of tackling that killer section/hill/time etc. is enough to make you want to cry? You only have yourself to look to for motivation. Running solo is more difficult mentally, but you can learn how to cope with a challenge, get better at testing your limits, and ultimately become a stronger, prouder runner. So go ahead and get up that hill and go for it! So if you are a fan of solo running, let Run Wales be your virtual buddy! We have the resources to support you along the way. By registering with us you’ll have access to advice on how to choose the right running programme for you, support in the form of training plans, and much more.